A one-day conference presented by the Royal Irish Academy Life and Medical Sciences Committee addressing the wide-ranging implications of the CRISPR-Cas9 technique for all of life and medical science. 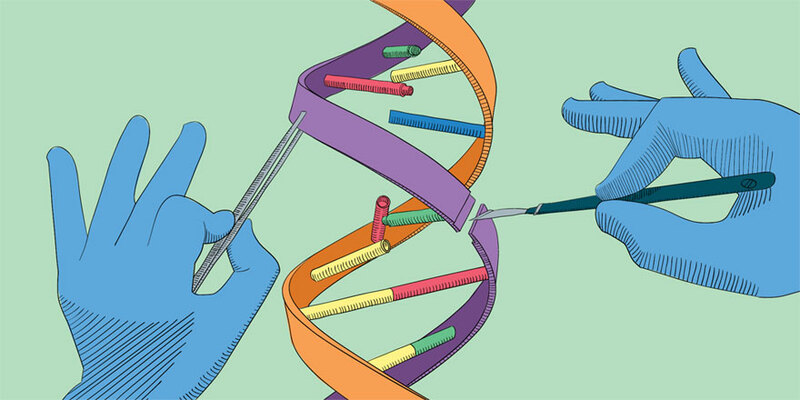 The impact of genome editing is clearly being demonstrated in the scientific literature but in parallel there is need for a societal discussion around the parameters in which genome editing should be applied. In response to the far-reaching implications of the CRISPR-Cas9 technique, the RIA Life and Medical Sciences committee presents ‘Gene Editing: Technologies, Potential and Ethical Implications’ a conference addressing this breakthrough technology and its wide-ranging implications. The keynote speaker is Professor Robin Lovell-Badge of The Francis Crick Institute. He will present recent developments in the CRISPR-Cas technology. The event aims to strike a balance between the science and the impact. The morning session will introduce delegates to the significance of CRISPR-Cas9 based editing and the implications it has for human health, animal health and agriculture. The afternoon session will examine the ethical issues around the use of this technology and what measures need to be considered to ensure a rational debate driven by science-based reasoning. Clich here to read our conference transparency statement.